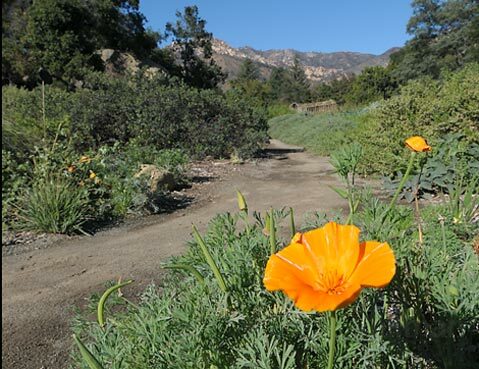 In 1926, the Santa Barbara Botanic Garden sprouted to life and has been a revered community institution for the last 85 years. To continue the year-long birthday celebration, the Botanic Garden is having a Community Free Day for the public. That’s right — no entrance fee for folks seeking to commune with the myriad native plants that grow there. In addition to the interesting flora, there will also be docent tours (11am, noon, 1pm, and 2pm) and kids’ craft activities. Also occurring will be the Botanic Garden’s annual Holiday Marketplace (see the Week Spot, p. 43). Community Free Day is Sunday, November 20, 9 a.m.-5 p.m., at the S.B. Botanic Garden (1212 Mission Canyon Rd.). For more information, call 682-4726 or visit sbbg.org.